Whenever the word "rustic" appears in a recipe, you can translate to "really easy to make" and "don't worry about how it looks." This tart is a perfect example. The actual prep time is only about 20 minutes, and the presentation is very simple. 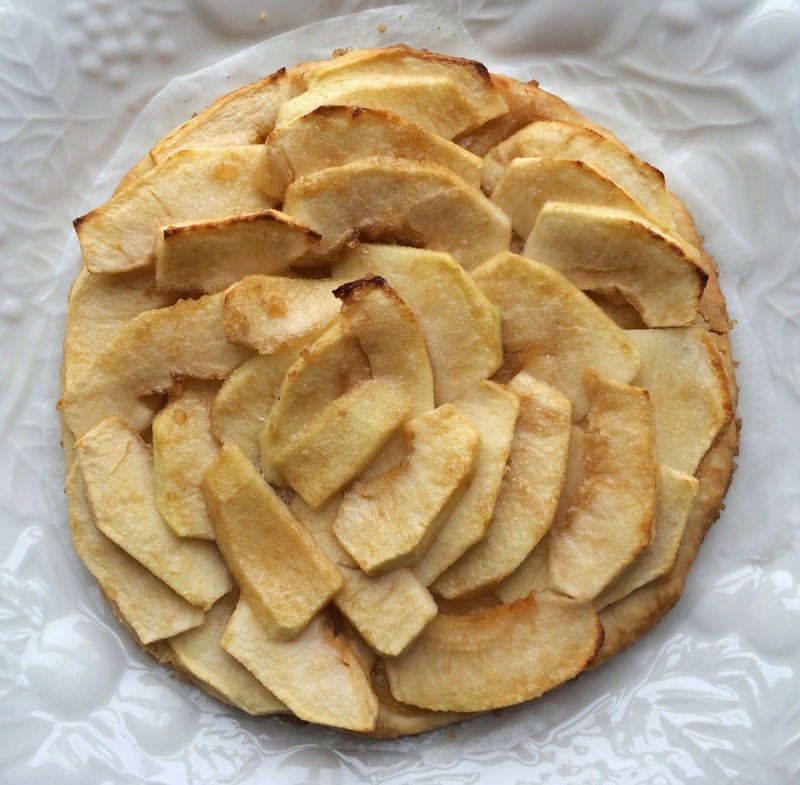 This rustic French-style apple tart recipe is great for a rainy day or anytime you feel like quickly whipping up a simple treat. The tart is delicious served with vanilla ice cream or crème fraîche. Give it a try!! Make the pastry crust: Combine flour, sugar and salt in a bowl. Cut the softened butter up into small pieces. Use your hands to blend the butter into the flour mixture. Mix in the water. Continue blending until the flour-butter mixture has the consistency of pebbly sand. Then use the palm of your hands to work the dough, until it can be easily formed into a ball. Place the ball of dough in the refrigerator and chill for at least one hour. You can prepare the dough one to two days in advance. On a clean floured surface, roll out the dough to 0.5 centimeter (1/8 inch) in thickness. You can make the tart crust any size in diameter, for mini tartlets or a large tart. Use a bowl to trace the circular outline of the dough. Then cut off the excess dough. Place on a baking sheet lined with parchment paper and bake at 375 degrees Fahrenheit for 20 minutes. Remove from oven when the tart dough is golden brown. Serve warm or room temperature with a dollop of crème fraîche. Enjoy! The tart will keep for a few days, unrefrigerated. 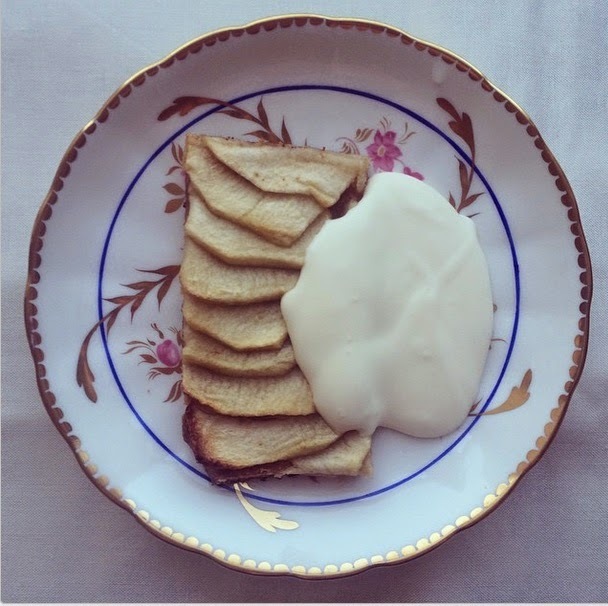 Crème fraîche (French style sour cream) is the essential accompaniment to this tart.